Suppose A has 0.2 hashing power. If A is waiting for only 1 confirmation. The chance of successful attack is 0.2^2 = 0.04 = 4%. 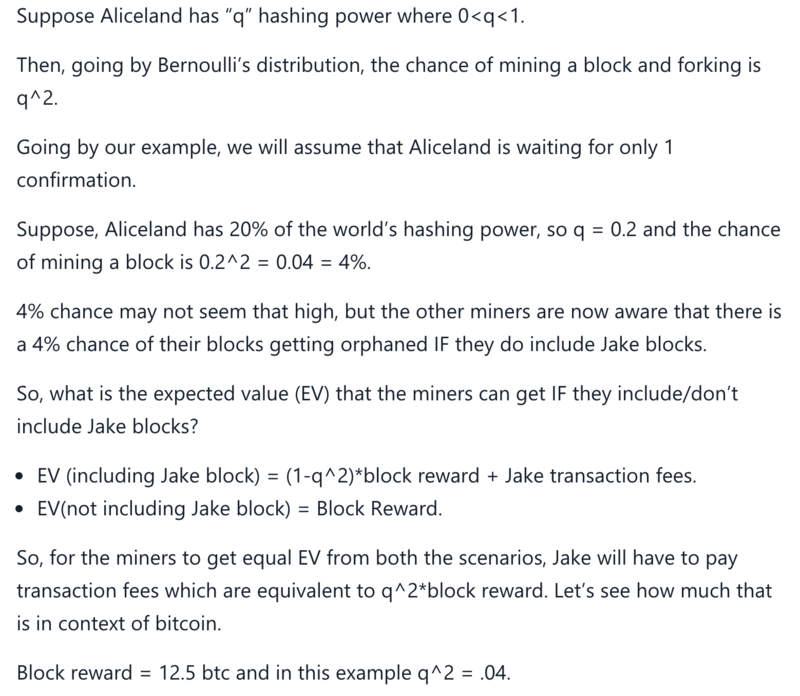 So the victim has to pay 0.04*Block reward tx fees. What if the attacker is waiting for 2 confirmations, how to compute the probability, is that like 0.8*0.2*0.2+0.2*0.8*0.2+0.2*0.2 or anything else. I am confused about it, thank you. Browse other questions tagged attack or ask your own question. Attack on bitcoin network with modified client?